ELECTRIC BLUE VERSION LIMITED TO 500 COPIES! Two Polish heavyweight veterans have been around for nearly 25 years. To celebrate their longtime friendship the bands team up for a split 7”EP! 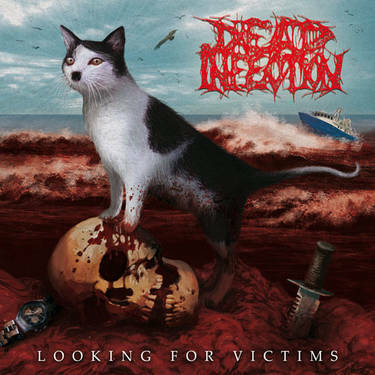 After sharing records with other goregrind legends REGURGITATE and HAEMORRHAGE, DEAD INFECTION are back with new material recorded June 2013. Four songs of pure goregrind butchery at its best! PARRICIDE have also recently put out two splits with KILL AT COMMAND and SQUASH BOWELS. Their side offers four new songs recorded late August 2012; brutal and merciless grindcore ferocity. Get this piece of grind/gore wax before it’s gone!